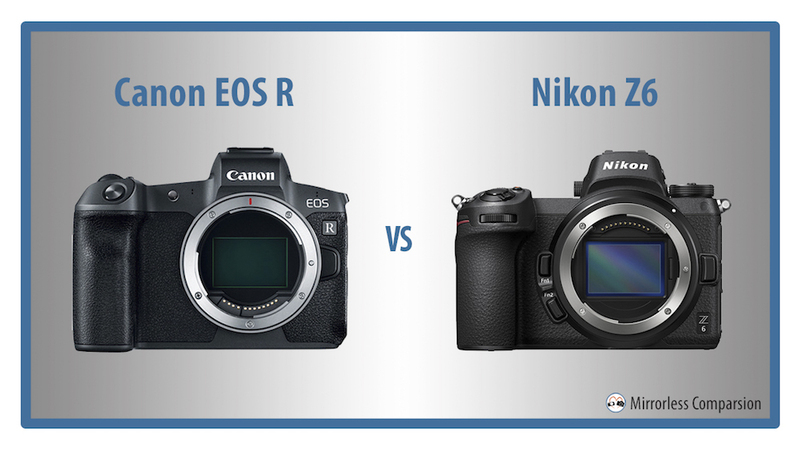 Canon or Nikon? This is the question photographers have been asking ever since the two brands became the two main contenders in the digital era of photography. After years of competition in the DSLR segment, Canon and Nikon renew their rivalry by inaugurating two separate mirrorless systems with a 35mm format sensor. It’s not their first venture into a series without the flipping mirror. Nikon first joined the market with the now-discontinued 1 series, which used a smaller 1-inch sensor, whereas Canon has continued to develop the EOS M APS-C series, albeit at a slow pace. Nikon’s Z and Canon’s EOS RF systems both have new mounts and a lens line-up that includes fast aperture lenses. 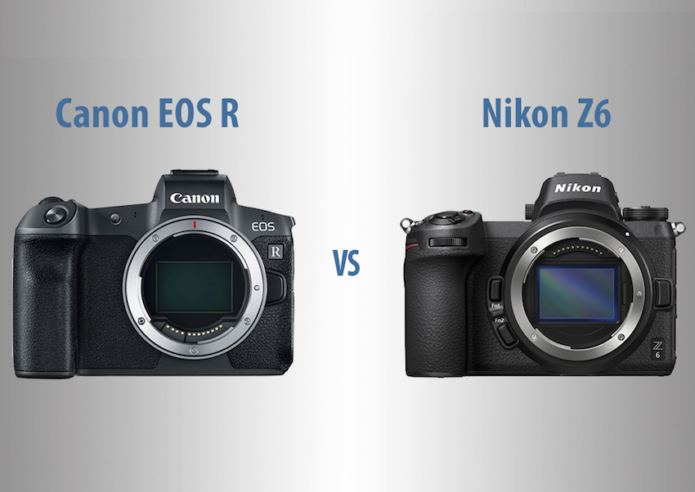 In this article, we’ll be taking a look at the two models that fall into a similar price bracket: the Canon EOS R and the Nikon Z6. One characteristic shared by the two systems is the large mount. The Nikon Z-mount is 1mm larger than the Canon RF mount (55mm vs 54mm) and has a shorter flange distance (16mm vs 20mm). 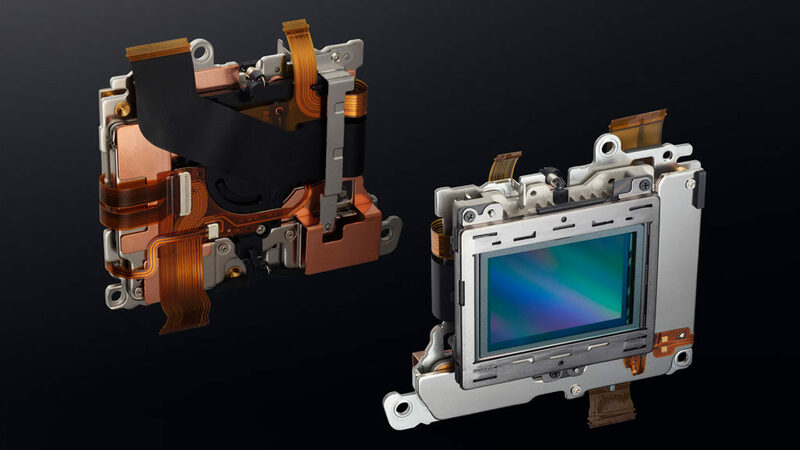 Both companies have explained that going mirrorless with a large mount will allow them to design a new generation of high quality lenses with better corner to corner performance and larger apertures. Nikon will release a 58mm f/0.95 “Noct” in 2019 and a 50mm f1.2 in 2020, whereas Canon inaugurates its system with a 28-75mm f2 and a 50mm f1.2. For Nikon, the 0.95 will be a first while the f2 zoom will be a world’s first. Canon has a more complete line-up to start with by adding a 24-105mm f4 IS and a 35mm f1.8 IS Macro. Nikon starts with a 24-70mm f4 and two 1.8 primes, a 50mm and 35mm. Both brands have also launched new adapters to make their large DSLR lens collection compatible with the new cameras. The Nikon FTZ will offer full automation for 93 lenses (AF-I and AF-S) and partial automation for older lenses (AF-D and AI). Three EF-EOS R adapters will be available for the Canon, including one with a control ring and one with a drop-in slot for filters. The Canon EOS R features a 30.3MP CMOS sensor whereas the Nikon Z6 sensor has 24.5MP. Both have an optical low pass filter. The ISO sensitivity is also different. The Canon has a native range of ISO 100-40000 with expandable values down to ISO 50 and up to ISO 102400. The Nikon has slightly better ISO performance with a native 100-51200 range and expandable values up to 204800 ISO. The Z6 offers an exhaustive list of file options. You can select RAW in 12 or 14-bit with three different compression levels (uncompressed, lossless, compressed) in addition to JPG with various qualities and Tiff. The EOS R offers 14-bit uncompressed RAW or the new C-RAW compressed format introduced on the EOS M50. Both cameras use on-sensor phase detection technology. The principle is that each focus point has two tiny sensors behind a micro lens. 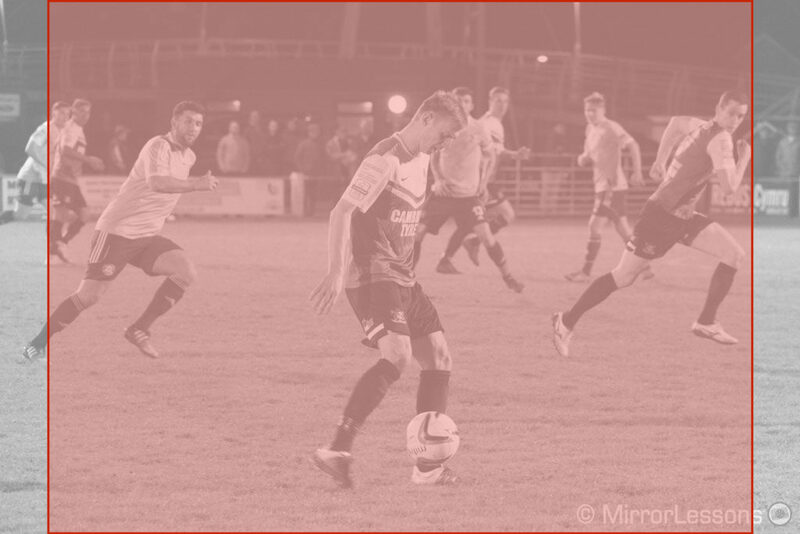 The incoming light is read from two different points of view, creating two parallax images that are then analysed to see how much phase difference there is. 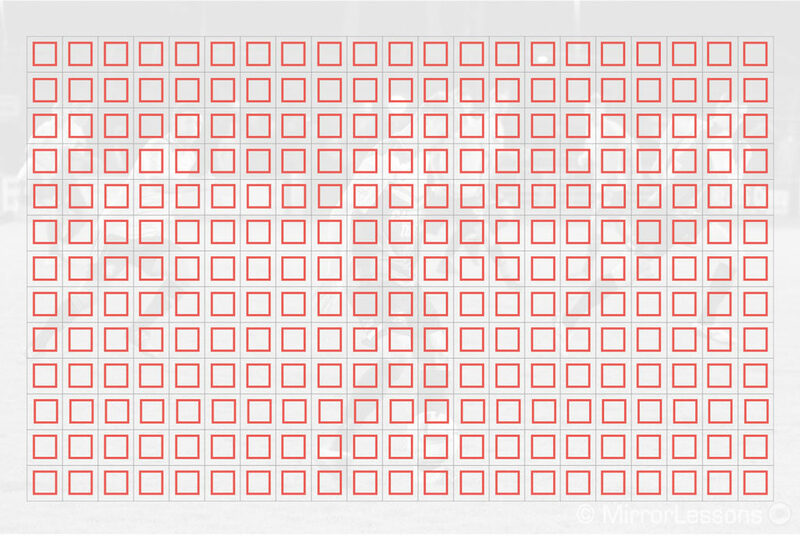 If the image read by the two sensors is different, focus is incorrect. If the image is the same on both sensors, then the picture is in focus. The EOS R features Canon’s Dual Pixel CMOS AF where each pixel on the sensor is made up of two photodiodes. 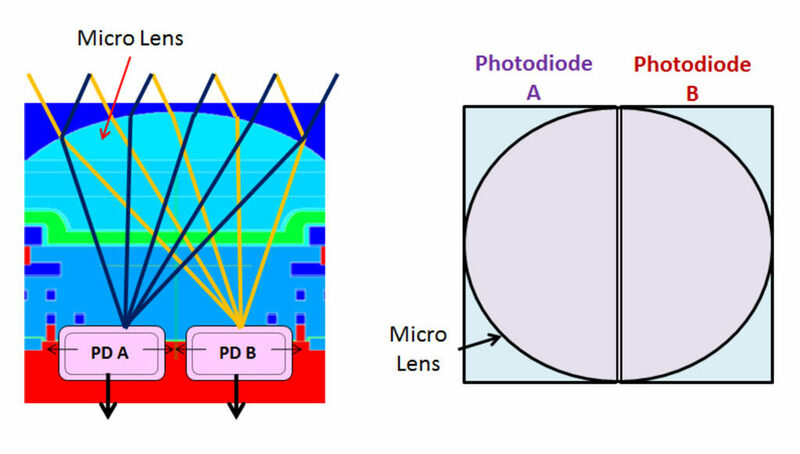 When the light coming through the lens hits the sensor, the two photodiodes are used together to create the image but read separately (left and right) to calculate the phase difference. Not every pixel is used to calculate the phase difference, but the EOS R uses a record-breaking 5,655 points which is higher than any other camera on the market. The Z6 features 273 phase detection points but unlike the Canon, these are dedicated to phase difference alone rather than imaging functions. Another difference regards low light sensitivity. Canon claims -6 stops with an f/1.2 lens whereas Nikon mentions -4Ev with an f/2 lens. The real difference between the two is more or less 0.5Ev with an f/2 lens (-4.5Ev for the Canon). 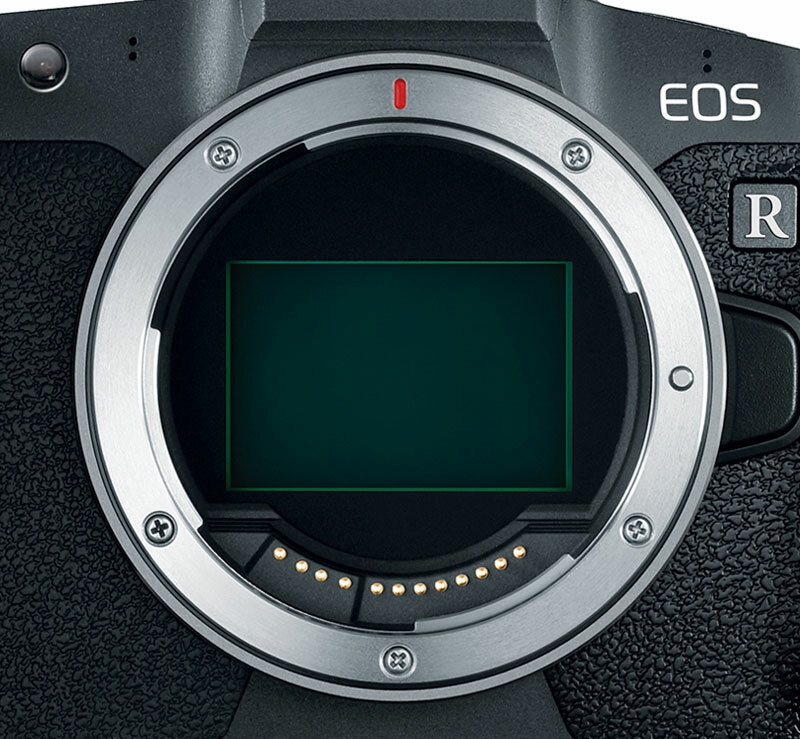 Both cameras feature face detection but only the EOS R has an eye tracking mode. However it only works in AF-S.
Canon claims that the EOS R has the world’s fastest autofocus at 0.05s and we’ll make sure to put that to test when we have a chance to review and compare the new camera against the competition. The Z6 gave us a positive impression at the press event but it is too early to judge how good it can be in the field. The EOS R can shoot up to 8fps but it locks focus on the first frame. To get continuous autofocus, you need to reduce the speed to 5fps. Continuous AF with focus priority rather than release priority will take your further down at 3fps. The Z6 can shoot up to 12fps with continuous AF but the exposure is locked on the first frame. At 9fps, both AE and AF work in continuous mode. The singular phase detection technology adopted by Canon makes room for another interesting feature. In addition to the normal RAW file, the EOS R has an additional setting called Dual Pixel RAW. The special file contains the parallax information recorded by the phase detection points which means that some additional focus depth changes can be made after the image is captured. You need the proprietary Digital Photo Professional software to open the file and make micro adjustments to the focus point. The difference is minimal but can help you make sure that the focus point is exactly where you want it to be and achieve the maximum sharpness. For example it can be useful to fine-tune the focus point on the eye of a subject if the camera slightly mis-focuses. You can make other adjustments to the position of out of focus elements or reduce ghosting flares. It’s important to note that there isn’t much room for adjustment and Canon suggests specific focal lengths, apertures and focus distances to make the most out of it. Also when shooting with Dual Pixel RAW, the file size doubles and the maximum shooting speed is capped at 2.2fps. The Z6 features internal sensor shift: the sensor moves on five axes to compensate for camera shakes, with a CIPA rating of 5.0Ev. It works for both stills and video and can work in conjunction with Nikkor VR lenses. I was able to achieve a sharp shot around 1s in my brief time with the camera at the launch event which is very encouraging. Canon is the only mirrorless brand (excluding Leica) that hasn’t adopted in-body stabilisation yet so, as you can guess, the EOS R must rely on optical stabilisation. Both cameras have the option of adding electronic stabilisation in video mode, which will reduce the field of view sligthly as a result. Mirrorless cameras are as popular for stills as they are for video, so it was important that both Nikon and Canon integrate good video specifications. Both can record 4K up to 30fps but the EOS R offers more options with two compression settings: IPB goes up to 120Mbps whereas ALL-I offers 480Mbps. The latter has better quality because each frame is compressed and saved individually. The Z6 records at 100Mbps with an IPB compression. In Full HD, the Z6 goes up to 120fps with slow motion capabilities, whereas the Canon stops at 60fps. If you want a higher frame rate, you need to downgrade to HD/720p. The Z6 records 4K with full pixel readout and no sensor crop, meaning it uses the entire width of the sensor. The Canon on the other hand applies a large 1.7x crop which means that your field of view is significantly narrower when recording 4K. 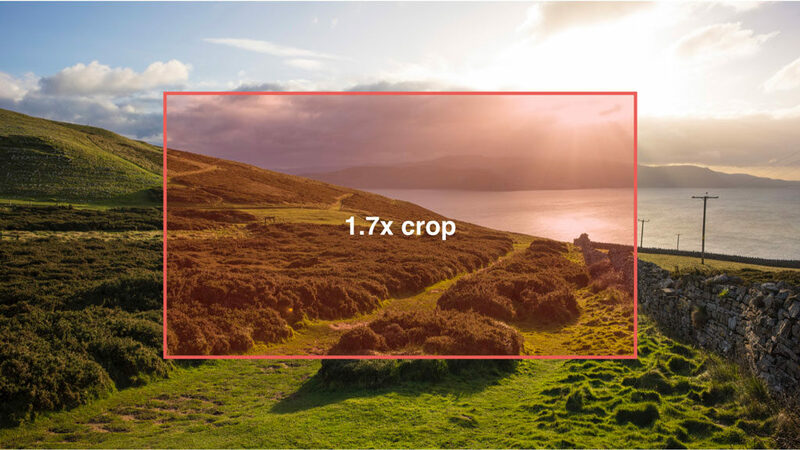 Just to give you an idea, a 1.7x crop is more severe than the 1.5x crop you get when switching to APS-C mode on your full-frame camera (an option you’ll find on the Z6) or using a 35mm format lens on an APS-C camera. The sensitivity changes on the EOS R when recording video: the maximum normal value is 12800 in 4K or 25600 in Full HD. However the extended values remain active. The Z6 maintains the same ISO range for video that it uses for stills. The Nikon has a flat profile that records more dynamic range, and a true log profile (N-Log) that is only available via the HDMI output. 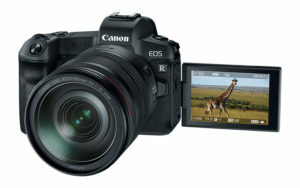 The EOS R has the Canon Log gamma that is available for internal and external recording. Both can output a 10-bit 4:2:2 signal via the HDMI connection, which means you can record more colour information on an external recorder. Both cameras have 3.5mm mic input and audio out connectors. The EOS R features an electronic viewfinder with a 3.69 million dot OLED panel. The optical design provides a magnification of 0.76x and the eyepoint is 23mm long. The Z6 uses an OLED panel as well (3,686k dots) and has a higher magnification of 0.8x. The eyepoint length is the same. Both cameras feature a rear LCD screen with 2.1M dots and touch sensitivity. The one on the Nikon is ever so slightly larger at 3.2 vs 3.15 inches on the Canon. 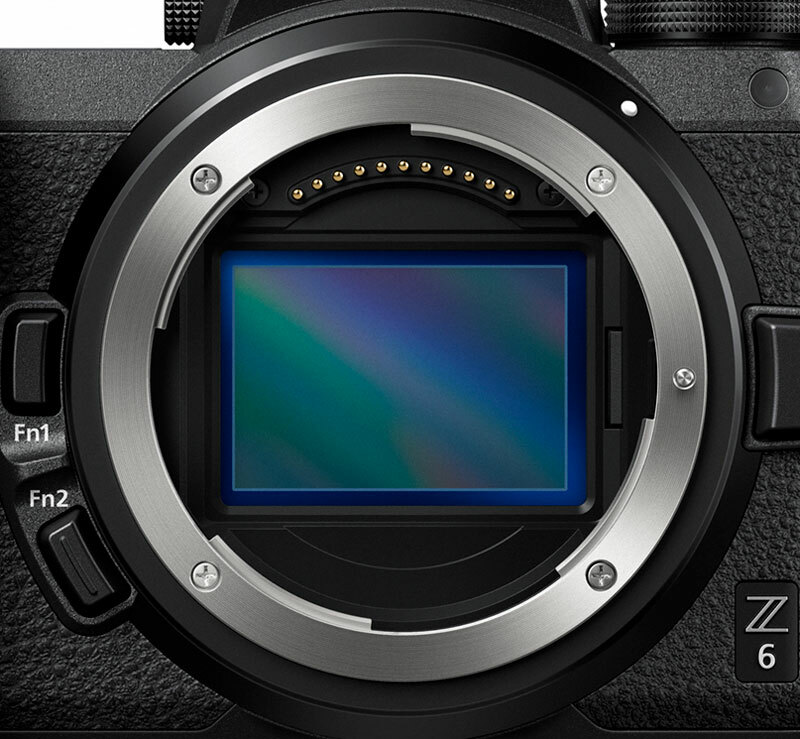 More important, the Z6 has an up-and-down tilting screen whereas the one on the EOS R is multi-angle and can be orientated to the side, which is usually the preferred solution amongst filmmakers. The touch screens allow you to perform a number of operations such as moving the focus point and changing the settings. On the Z6, you can also take a shot but you can’t move the AF point while composing with the EVF. Nikon and Canon have amassed a wealth of experience in designing cameras for amateurs and professional photographers over the years, so it is no surprise that their new mirrorless products have inherited many aspects from their bigger “mirrored” brothers. Both the EOS R and Z6 feature a tall prominent grip for improved comfort and handling. They also share the benefit of a weather-sealed magnesium alloy chassis. A good amount of customisation is available on both models including a personal menu page, a quick menu that can be customised and several function buttons. On the top plate you’ll also find a small monochrome screen to check your settings on the go. The Canon offers more personalisation overall thanks to its fourteen function buttons and two dials. Some of these buttons can also be configured separately for video. The Nikon has 7 custom buttons by comparison. Both systems come with lenses that feature a control ring to which you can assign various settings such as aperture, manual focus and exposure compensation. There are a few interesting differences if we look closer. First of all, the Z6 features an AF joystick on the rear unlike the Canon, as well as two handy Fn buttons on the front near the mount, which are very easy to reach with your fingers. The EOS R doesn’t have a traditional shooting mode dial on top, but you can use the mode button coupled with the rear dial instead. There is also an interesting touch bar on the rear near the EVF. It can be used to change settings, browse through photos, check focus, and so on. Surprisingly neither brand opted for a dual memory card slot, which is usually expected on cameras in this high-end category. In the case of the Z6, Nikon chose to go for the faster and more robust SQD type, which is thicker than an SD card. 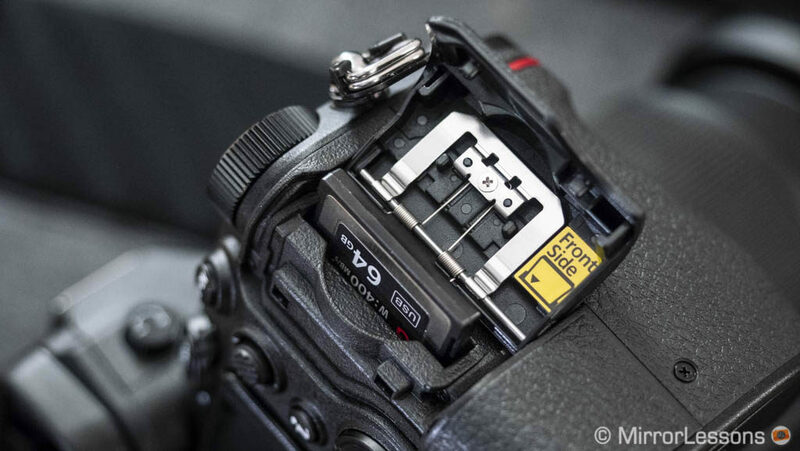 For this reason, Nikon wasn’t able to make space for a second slot and keep the current design. Canon went for the popular SD type with UHS-II compatibility. It’s a shame they couldn’t optimise the space to make room for a second slot. 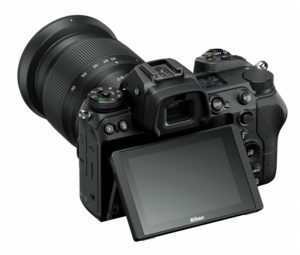 The Nikon Z6 has an official rating of 310 shots per charge, while the EOS R is rated at 370 in normal mode, 450 with the Power Saving mode and 540 with the Eco Mode activated. As always, these figures have to be taken with a grain of salt. Nikon hasn’t revealed more specific numbers so it is unclear if it also has a power saving mode that can improve the battery life. Second, it is known that you can easily get more frames on a single charge than what the official specifications suggest, so hopefully the battery life will be better on both cameras. Perhaps the Canon will retain a slight advantage because it has less power-hungry hardware like IBIS for example. Both cameras can be charged via USB and are able to take advantage of an optional battery grip to extend the battery life (the Nikon version is currently under development). Canon and Nikon have finally entered the mirrorless market, each with a serious full-frame contender. 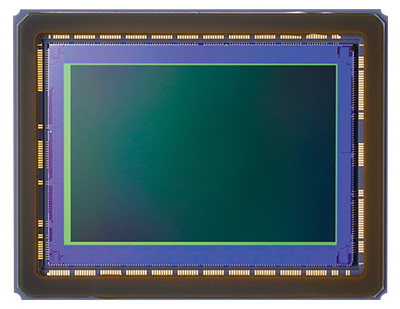 Neither has shaken the market with any groundbreaking technology, but we are certainly curious to see how much Canon’s Dual Pixel CMOS AF has improved now that it uses so many focus points. I admit it is a shame that the EOS R doesn’t feature internal stabilisation, as it means Canon is now the only brand to lack this technology. And the burst speeds in continuous AF aren’t all that impressive by today’s standards, not to mention that the 1.7x crop in 4K is annoying. The Z6 feels like a more well-rounded package as it includes 5-axis stabilisation and has better specifications for continuous shooting that should satisfy not only action photographers but also filmmakers who want to take advantage of the native field of view of their full-frame lenses. It is also interesting to note how both brands have taken the large mount / fast-aperture lens route. Canon is starting out with a well-balanced set including a “world’s first” 28-75mm f/2 zoom. As for the Nikon, we’ll have to wait until next year for the 58mm f/0.95 Noct and two 2.8 zooms. Finally we come to the price. The EOS R body is set to debut at $2300 / £2350 / €2730, whereas the Z6 body will have a retail price of approximately $2000 / £2100 / €2400.